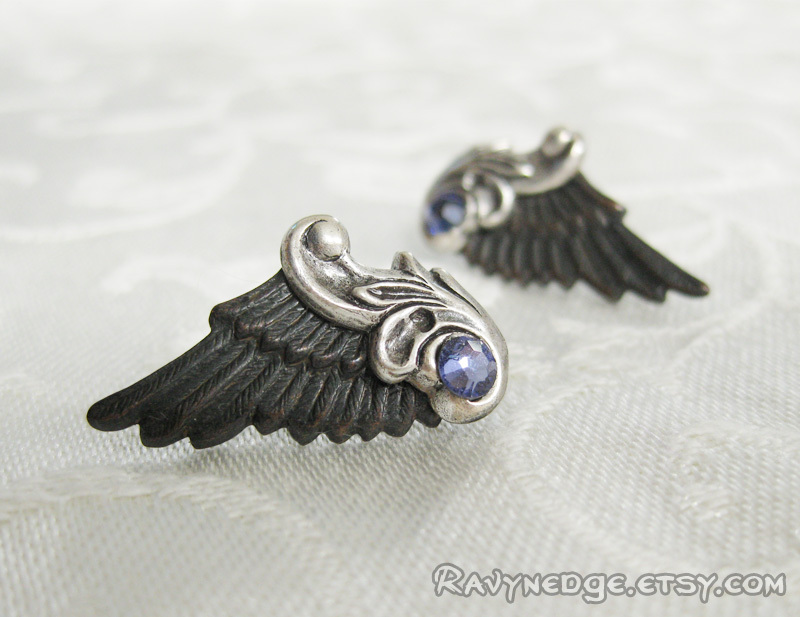 Twilight Splendor Earrings - Angel Wing Post Earrings in Blackened Brass and Silver by RavynEdge. 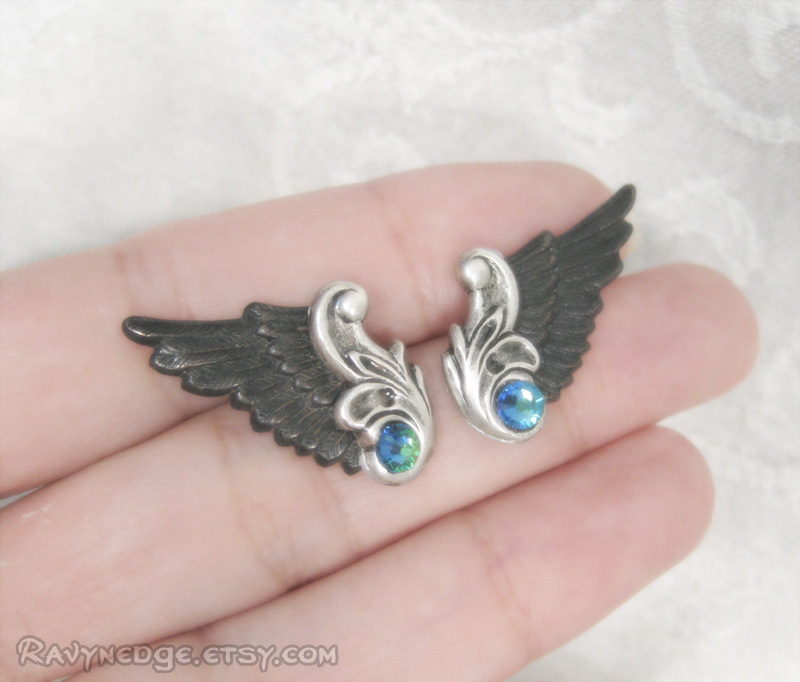 Enjoy fantastical flight with these detailed wings made of blackened brass with chocolate brown undertones. 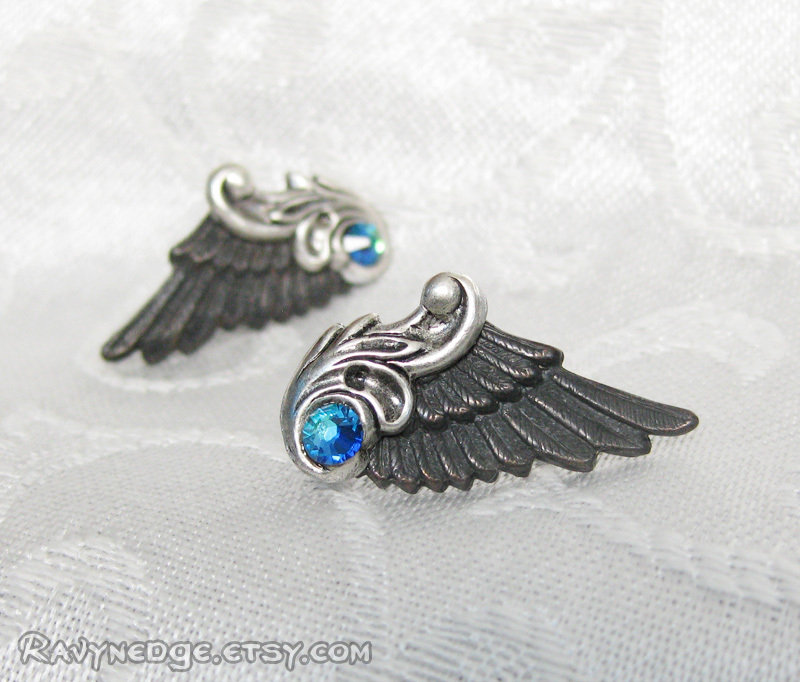 They are accented with a striking contrast of sterling silver plated brass flourishes and Swarovski crystals. 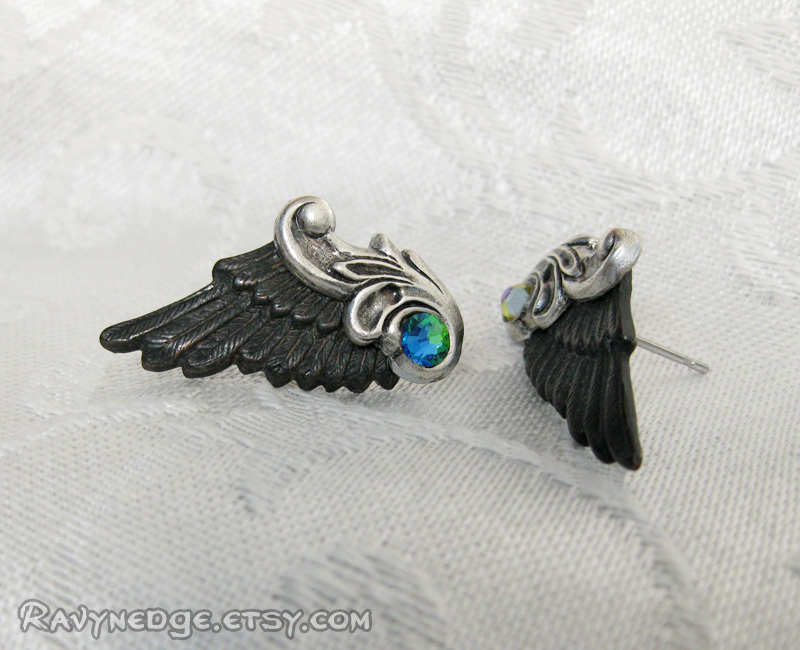 Shown in green sphinx and tanzanite. Can be made with a different color crystal or different plated metal finishes. Measures aproximately 1.14in (29mm) long and 0.6in (15mm) wide. Fastens securely to your ear with a surgical steel post and earring clutch with plastic stabilizer disc.